This home has historical significance since it is one of the few remaining residences illustrating the French frame architectural style that was popular in Detroit’s ribbon farm era. When colonial powers took over remote areas and sought to build forts, residences or shops, they found that had to develop new techniques since the materials they used in their homelands were often unavailable. And the environmental conditions were often extremely different. The French arrived in Detroit in July, 1701 and, over the decades, gradually developed a style of architecture that capitalized upon what was available along the Detroit River to meet their needs as best as possible. The challenges were numerous. In the early years, there were no mills to convert logs into planks so logs were used. Builders were ignorant at first about how to stabilize a structure so th at it would not sink into the mud in spring. It took time to figure out what substances would best keep out the cold that came from gaps between the logs. Flooring was another problem. And then there were specific needs. Since there were no ice boxes, a well-designed home should have some deep storage space so that meats might last a few days in the summer and potatoes and apples well into the fall or winter. Then there was the question of heat. Fireplaces were the only alternative, but they need to be designed to spread the heat as widely as possible but there was much concern about fire. All of the structure was made of wood. Michael Cadieux purchased substantial land in what is now Grosse Pointe in 1835. In the mid-1850s his relative, Isadore Cadieux, had this frame home constructed in Detroit using the traditional building strategies as perfected by the French settlers and their numerous descendants. After it was constructed, it was transported by water to the foot of Bishop Road in Grosse Pointe. 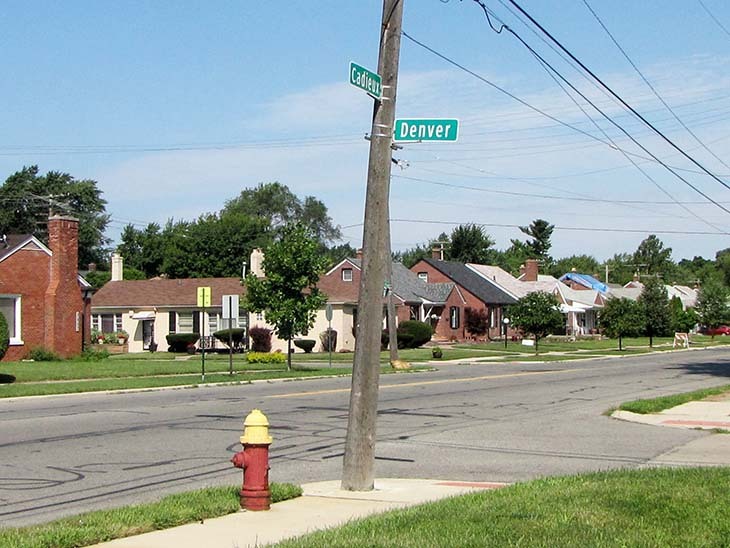 That thoroughfare bears that name since Casper Henry Borgess, acting bishop of the Detroit Catholic diocese from 1870 to 1888, had a summer residence nearby. This home has Michigan pine floors, a narrow staircase with hand hewn balusters and, as you would expect, fireplaces. However, it is not in its original condition. I believe that it was greatly expanded in 1890 and may have been remodeled several times since then. In 1870, the occupants apparently felt that it was unhealthy to live on the shores of Lake Saint Claire. They had the home moved to 16,939 East Jefferson at the corner of Notre Dame Street. 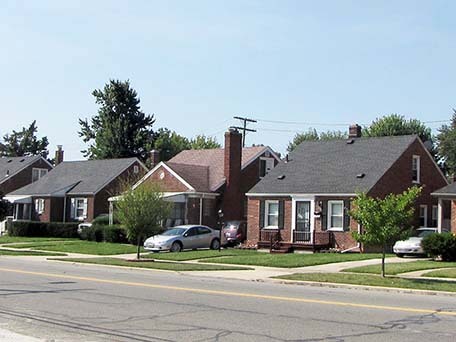 In 2011, neighboring Beaumont Hospital purchased eleven nearby residences. They intended to expand their parking lot to provide space for 420 additional vehicles. Ten Grosse Pointe homes were bulldozed for the expanded parking lot but Beaumont officials recognized the historical significance of the Cadieux residence and offered to make it available at no cost while providing up to $150,000 to relocate the home. More than 100 individuals and organizations inquired. The hospital selected Leslie Ann Kaye, a psychologist and thespian from New Baltimore, Michigan. With help from the city and the Grosse Pointe Historical Society, a nearby plot on Notre Dame Street was located and, in the summer of 1914, the Cadieux home was moved for the third time.